This terrific guest post is from Carla Olson Gade, substituting for Janalyn Voigt. Thanks, Carla! I took a turn from my usual historical writing this year when I penned a short story for Guideposts Books, A Cup of Christmas Cheer 2, which will release this fall. What was different about it is that the story is set in contemporary times, but with a twist. It takes place inside a little shop called “Memory Lane” in a revitalized mid-western American downtown. The store, filled with memorabilia, was one of the last hold-outs of the formerly dormant Main Street. Do you have one of those in your town? I know I do. What makes the story unique is the people who visit the store, affectionately called “The Memory Shop”, and thus the title for the story, go there and reminisce about past times. The older gentlemen who runs the shop encourages these conversations and listens to them share their experiences and memories. The store is filled with all manner of gadgets, household items, entertainment and sports memorabilia, and holiday décor. When I write, I love to include items that are part of the true historical setting of my stories, but I’ve learned that it is not limited to historical fiction. Nostalgia is an effective tool for writers. When readers recognize something that they used as a child, that their great-grandparent had, or can learn about the way things were done in eras gone by, it can enhance the experience of story. I just love going through antique stories and discovering unique items that could be incorporated in a piece of fiction. Recently I learned about a hay-burning stove that was used in the soddies of Nebraska in the 19th century. Can you imagine the meals prepared by a prairie mother to fortify her family? My hope is that as the reader visits The Memory Shop they will think about their own personal history — the things that are important to them, what helped shape them, the relationships that matter. Because it’s not just about stuff. It’s about the people in our lives whom we have shared memories with. It’s our history. What’s yours? What is an item you would love to find in a “memory shop” and what would it make you think of? Or, do you have a special piece of memorabilia you’d like to tell us about? Christian romance author Carla Olson Gade writes adventures of the heart with historical roots, including novels Pattern for Romance, The Shadowcatcher’s Daughter, and best-selling Mistletoe Memories. An autodidact, creative thinker, and avid reader, Carla also enjoys genealogy, web design, photography. 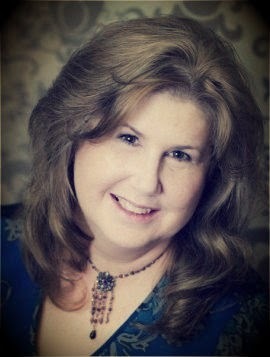 Carla is an active blogger at Adventures of the Heart and a regular contributor to Colonial Quills. She connects with her readers in many social networking communities as well as her story boards on Pinterest. A native New Englander, she writes from her home in beautiful rural Maine where she resides with her “hero” husband, two adult sons, and first grandchild. Carla, I LOVE visiting thrift stores and antique shops - it always makes me feel like I'm on a treasure hunt. As for my own 'special' memorabilia, I have, among other things, a quilt my mother made for me, her hope chest and an old Singer treadle sewing machine that belonged to my grandmother - I cherish each of these items very much. I feel the same way, Winnie! How wonderful that you have those special items! More special because they belonged to someone you love! Oh, I want to go shopping too! I love thrift store shopping and antique store browsing. I see things that remind me of days gone by and memory lane is wonderful. I have a few dishes that were my grandmothers and I think of her often. Come along! I love heirloom dishes! We have a great antiques mall nearby and it has so much to browse. I love looking at the old dishes there. I still do! LOL! Actually, I have two of them, one belonged to my step-dad and is probably around 80+ years old now. I thought I'd share a little about the pictures I chose in this post. 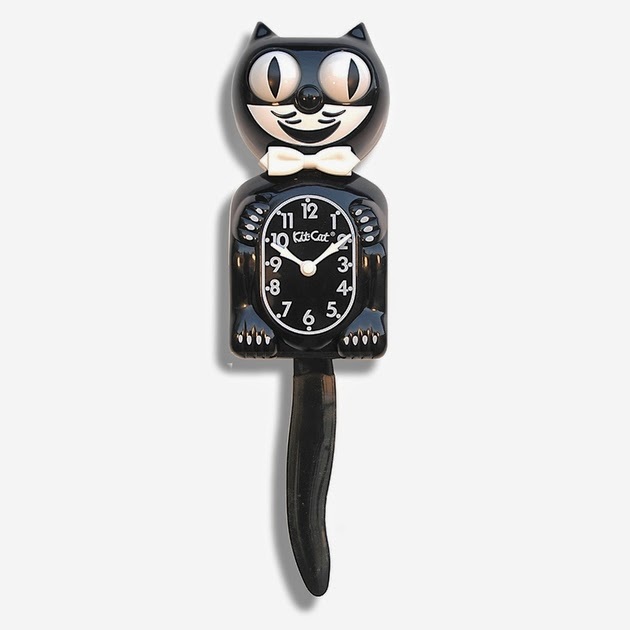 The kit-cat clock (I call it a Felix the Cat clock) was like one my great-grandmother had hanging in her kitchen. I always loved the way the tale swung as the pendulum. The hairdryer is like an old one that my mother had when we were kids. We used to build a fort underneath the tall porch stairs using boards and old windows. Then in the wintertime we'd run an extension cord out the cellar door and hook it up to the hair dryer so we'd have "heat". Oh, boy...did my mom even know we did that dangerous thing? 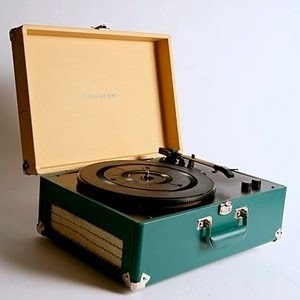 The record player. Oh, yes, didn't we all have one to play our 45s? 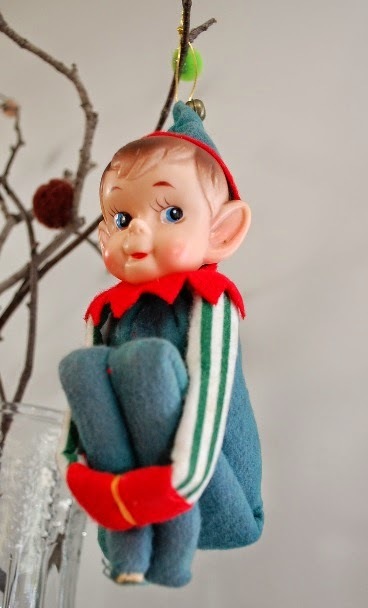 The Christmas kneehugger elf. As I mentioned above I have a few of them on our tree at Christmas (family heirlooms). It's a fun tradition to have always had them on the tree hiding in the branches. One is over 80 years old, made of felt. Loved this post and I want to go shopping with y'all. 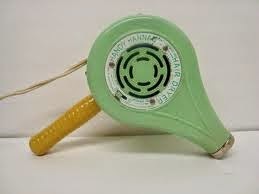 I'm old enough to remember all these things and actually owned them new. I'm thinking I should have kept the old record player, but it went away in a garage sale years ago. Don't know what happened to my "Elfie." So much of my "stuff" is over 50 years old now, so my kids are calling them heirlooms. I do have a China tea set with dessert plates and bowls that belonged to my grandmother. I have several crochet pieces and an afghan my grandmothers made as well as a crochet bedspread I took naps on as a little girl visiting my grandmother. I also have a mirror my maternal grandmother received as a wedding gift in 1905 I think it was. It has a gold leaf frame that has darkened over the ages, but the antique dealer told me NOT to touch it as it was more valuable as is. It hangs in my dining room today. I love hearing about your treasures, Martha! But I honesty object to things being called antiques at such a young age! That would make me one! LOL Thanks for sharing and let's go shopping! Hello Carla. I Love to go shopping in these kinds of stores. I too had the 45 player. Also had a cat clock hanging in my kid's room. I have the little gold wedding ring that was my mother's when she and daddy married in 1921. A really narrow band.I have some crochet pieces made by one of my daddy's sister's and she has been gone many years.Oh, i have a letter written in WW ll to my grandmother by a boyfriend of my youngest sister. We were good friends with his family and they might have married had he returned, but he and a brother never made it back. And, I have a very old iron mantle clock(Really heavy) that was in an old drugstore in Sedan, KS. when he was just a young boy. He loved that clock. So when the Druggist closed his business he just gave the clock to this young boy. He would be 101 now if he was alive. And no telling how long the man had the clock. I have my mother's old iron like they used to use on stoves, and some of her jewelry, tho not expensive. She had some pillow cases that my grandmother made, and crocheted scarves but guess my older sisters took them. BUT, my favorite aunt sent me a box of old family pictures before she died that I treasure. Had been from my grandmothers stuff and hers. my mother lost her mother at 5 years old. A lot of things that we had got destroyed in a couple of homes that burned when I was growing up. Then, in 1986, we had a 100 yr flood in Elgin, Ks. where I lived so lost a lot of things. Oh my goodness! I'm sorry to hear that you lost so much, not to mention the loss of your sister's boyfriend and brother. It makes the keepsakes you have so much more dear. Thanks for sharing. I enjoyed hearing your story. Great post, Carla. I love the idea for your story and will buy the next edition of A Cup of Christmas Cheer just for it. When I was about eleven or twelve, my mom gave me a little dish with a round bottom and a dog-shaped top made from carnival class. About ten years later it was broken in a move. I'd love to still have it. Thanks for the trip through my own Memory Shop..
You're so kind, Johnnie! Sorry that you lost that special dish. I hope you'll find another just like it some day for the memory, even if it isn't *quite* the same.